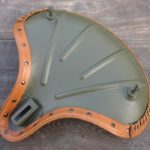 In our workshop we manufacture and repair saddles and leather accessories for antique American motorcycles. 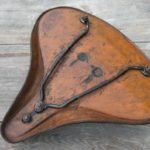 Long time experience makes it possible to take on the most difficult orders. 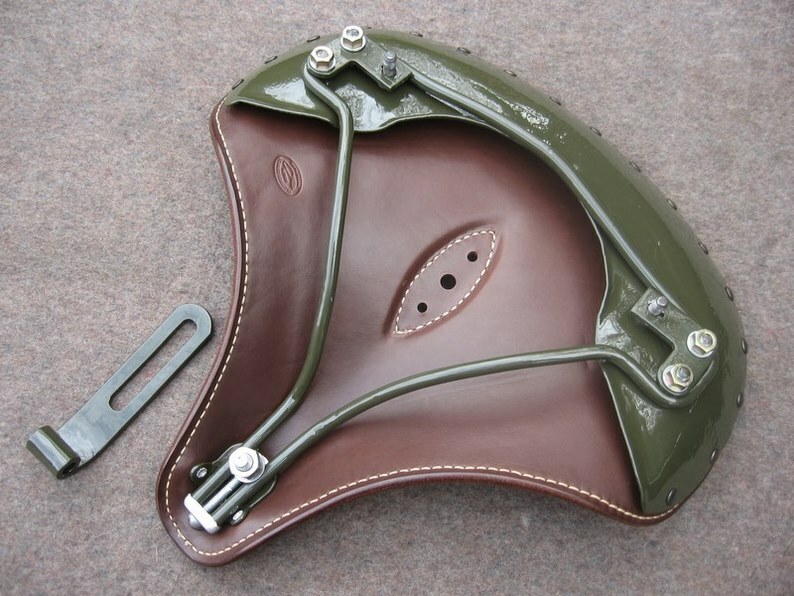 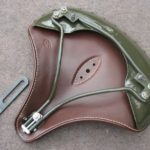 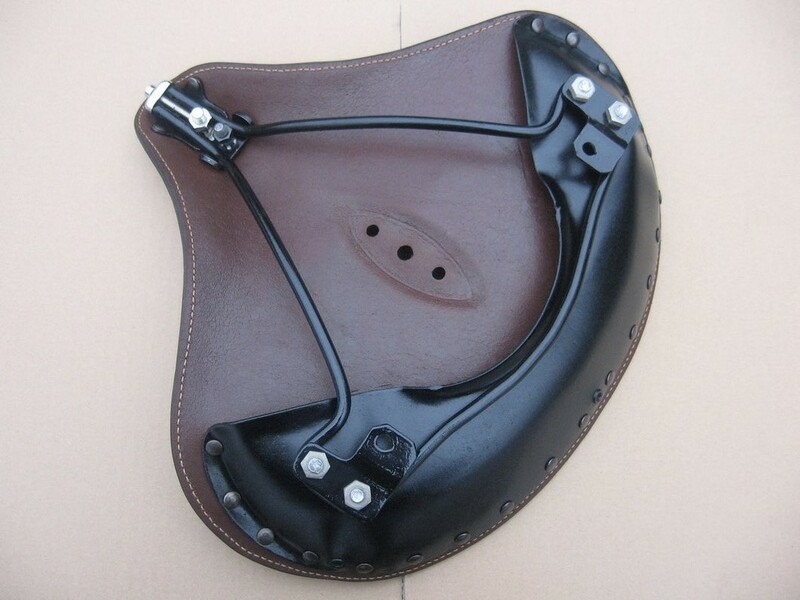 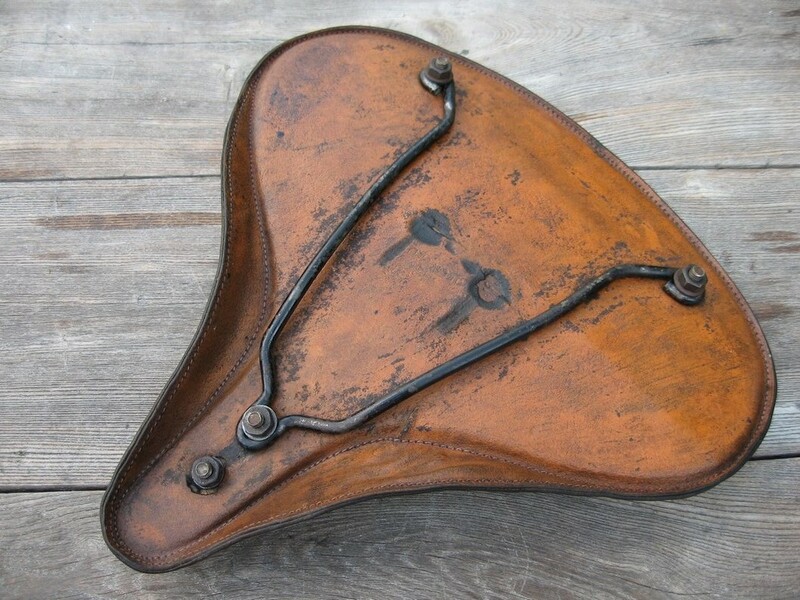 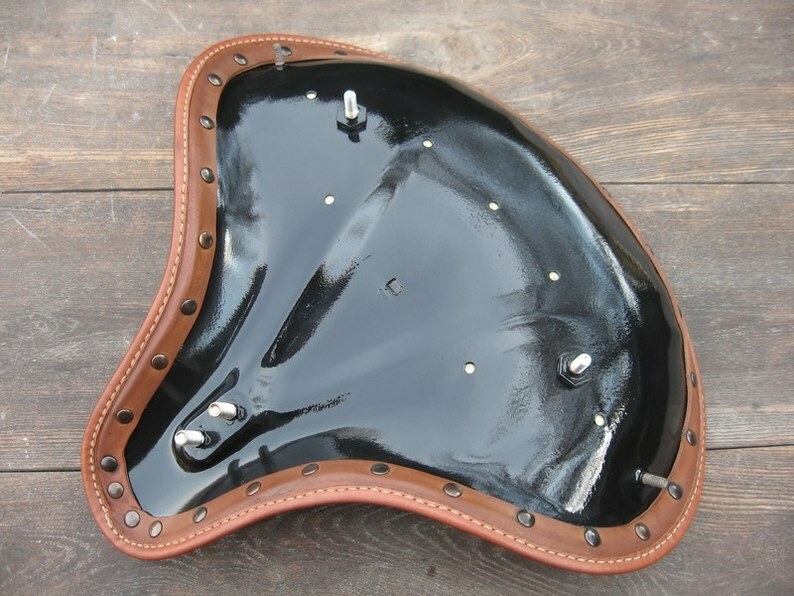 We put new leather covers on regular saddle pans as well as spring suspended half pans and early cantel frames. 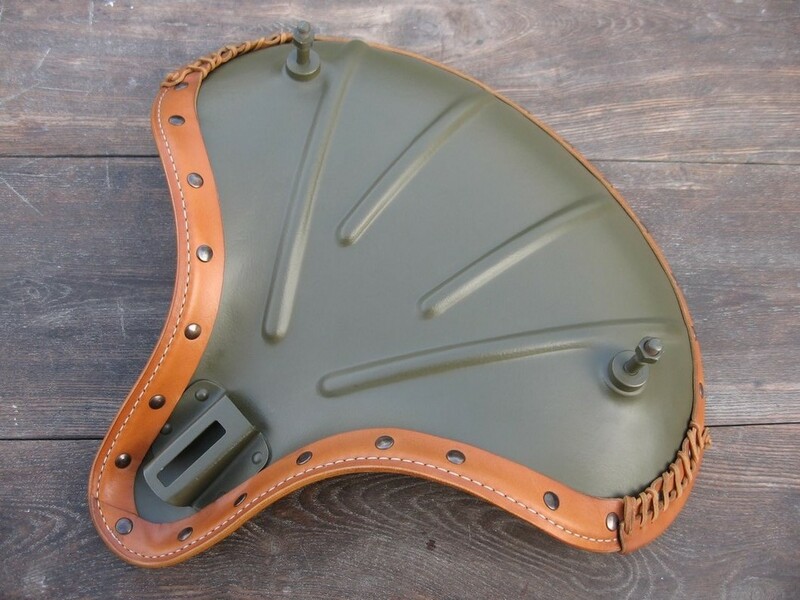 You can choose a wide range of colors, thicknesses and finishes. 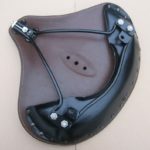 Our shop strives to meet the individual expectations of our customers. 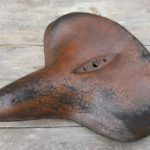 We only use natural cow hides. 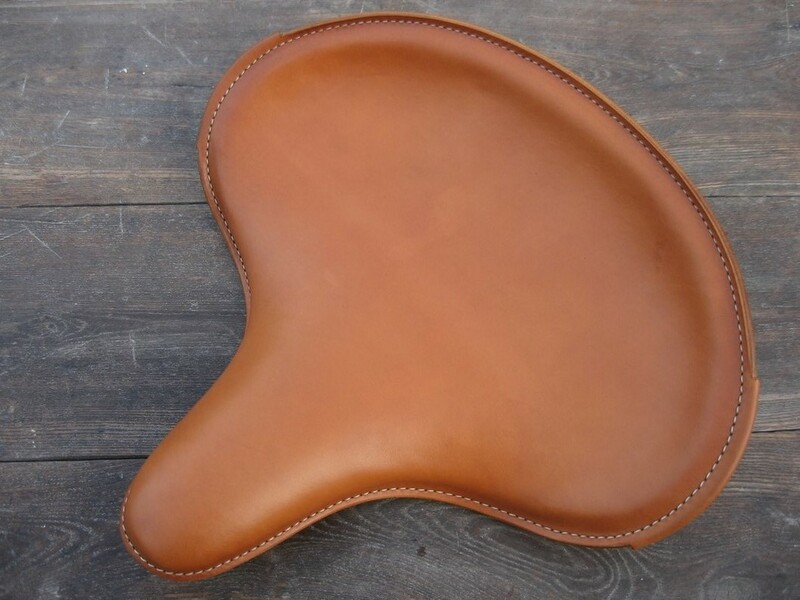 No synthetic or eco-leather covers are accepted. 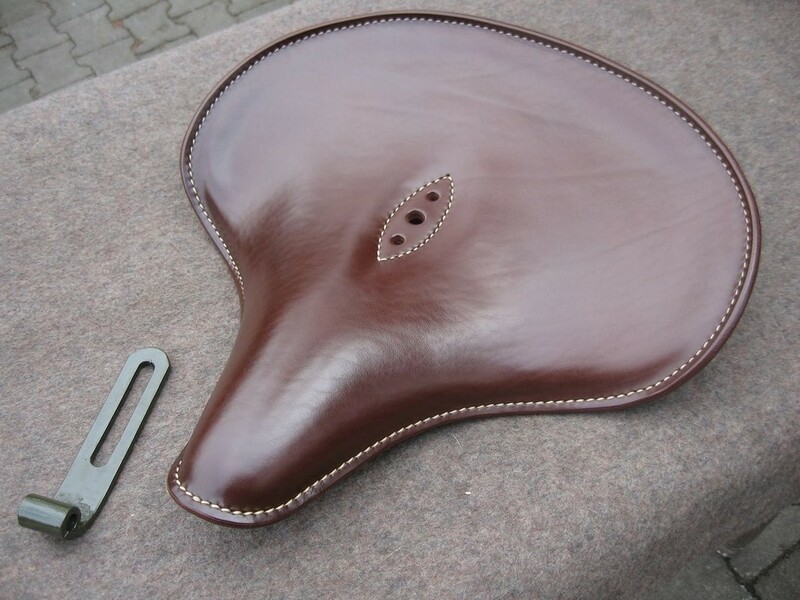 Our saddles are hand-stitched which makes them of the highest quality. 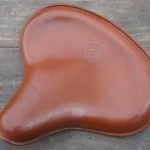 We have various embossing stamps for marking our products according to the original. 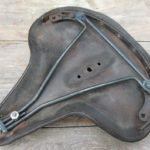 If you need metal parts restoration ( welding, sandblasting, painting or plating ), please feel free to contact us. 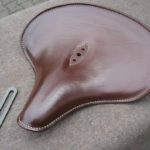 The most difficult task, and at the same time the most prestigious one, is restoration of old leather. 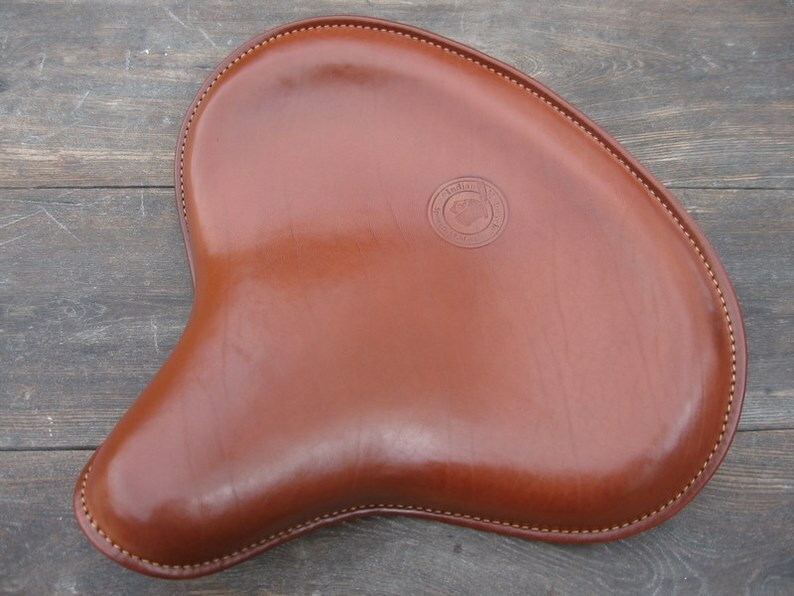 Nobody else in the world does better with your old saddle than our shop. 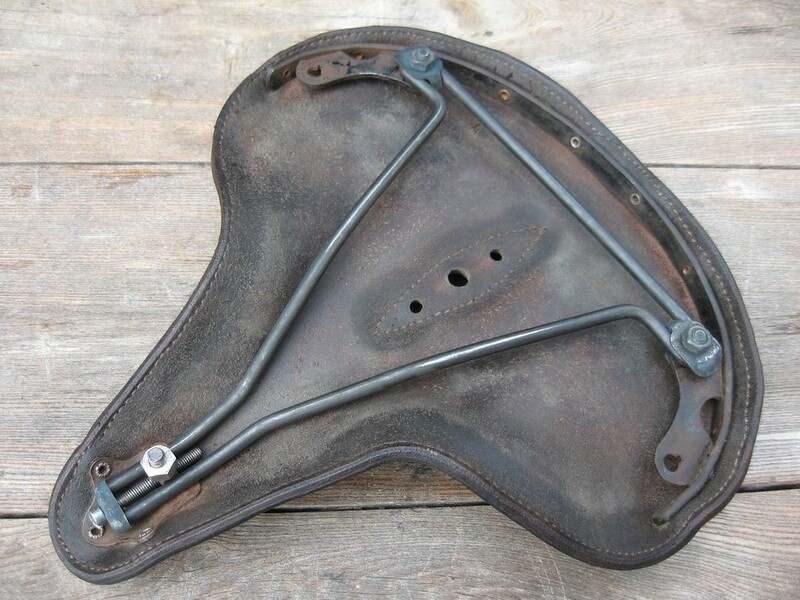 Most manufacturers do not want to repair old stuff. 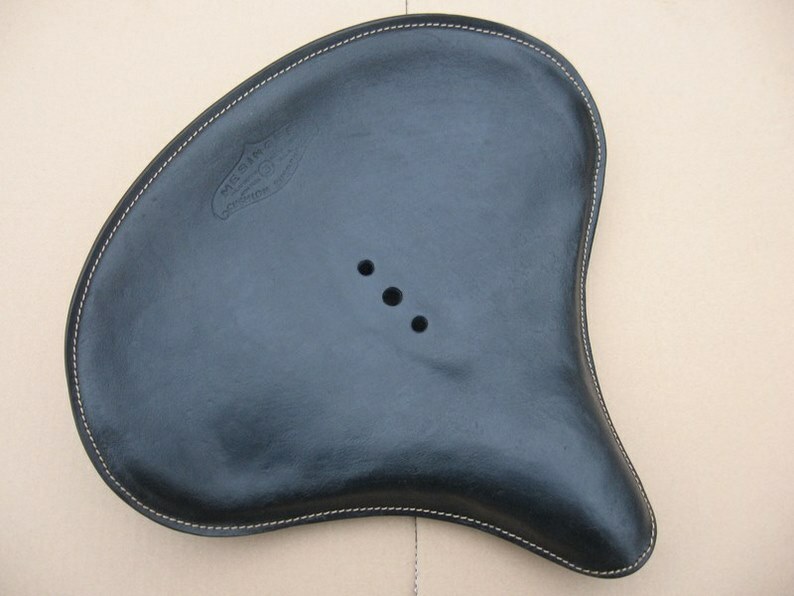 Mainly because it takes a lot of time, patience, and needs experience. 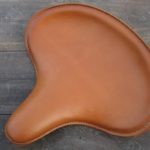 Restoring your old leather is nothing more than preserving the history. 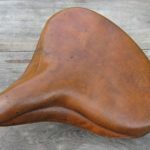 In our workshop we treat every original piece in due diligence. 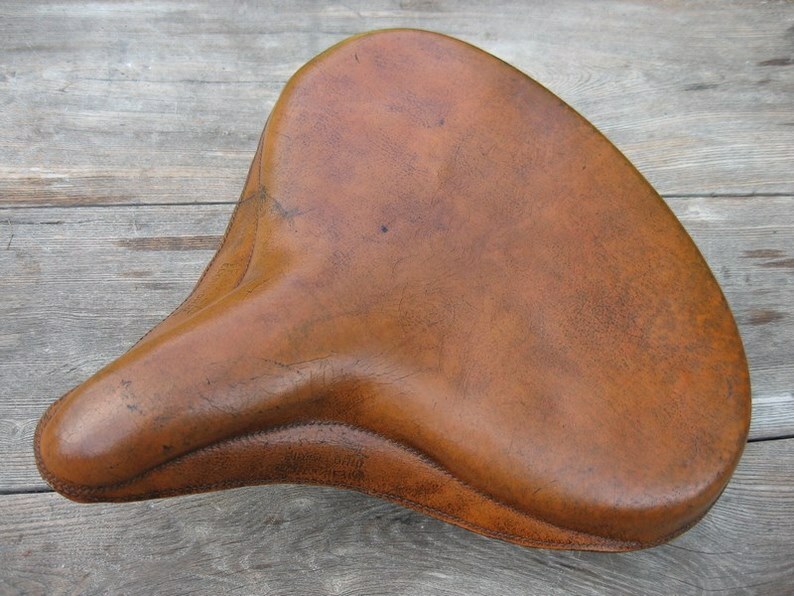 Thanks to that, all the saddles that we restore are suitable for riding. 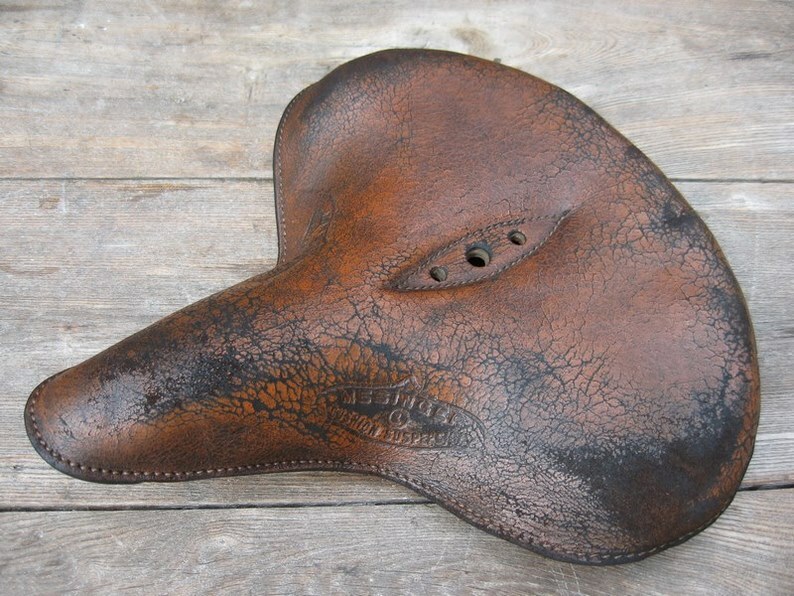 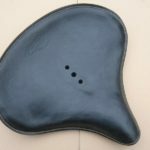 If you have old, damaged saddles in your garage, do not throw them away! 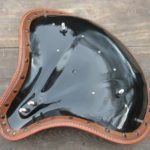 We can bring back their former glamor and make them be the ornament of every original motorcycle.